UPDATE (7:12pm): Well now here’s an interesting addendum. However, in a statement sent to Kotaku this evening, Microsoft denied VMC’s claims, saying that in fact the leakers’ consoles are still usable offline. Microsoft would not expand upon this statement, clear up VMC’s comments, or clarify as to whether they actually have the ability to render consoles totally unusable. Of course, the Xbox One is crippled without access to Xbox Live: offline players are unable to download patches—even those required to play certain games—or access online-only games like Destiny. But there’s a big difference between what VMC claimed and what Microsoft is now saying. Did you know that Microsoft has the ability to turn purchased Xbox Ones into bricks? Some people are about to find out the hard way very soon. 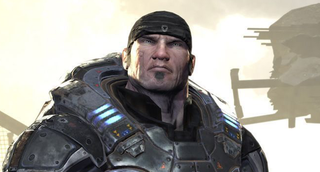 Over the past couple of days, testers for a contracting company called VMC Games have been leaking out videos from their current project, the upcoming (unannounced) Gears of War remake for Xbox One. As you might expect, neither VMC nor Microsoft is pleased about these videos, and today, the two companies came down hard, telling testers in an e-mail that the leakers have been banned from VMC’s program and will lose access to their Xbox Ones entirely for a period of time to be determined by Microsoft in the future. The reason behind the Non-Disclosure Agreement is not only to protect our clients and our program, but also our community, and to make each and every single one of you aware of the severity of revealing confidential information which you’re entrusted with. One screenshot, message or even conversation shared with someone else can easily snowball into a situation that goes out of control, and not only penalize the offender as well as anyone else directly involved, but sometimes far beyond that. In certain cases, there were consequences which had affected people which had no malicious intentions but ended up entwined within the legal case - we’re fully aware that this also targeted very faithful, hard workers who had been with us from the start, and this situation crippled the entire community. We do not want to go that way ever again and are constantly in search of better solutions to single out perpetrators before too much is at risk. The community itself is growing stronger, and often times leaks are reported by community members to us – and we’re extremely thankful for that as it not only speeds up investigations drastically, but also shows us that this community is tightly knit and merely contains a few bad apples, who unfortunately ruin the experience for too many participants already.